How to make drill more fun? What is your opinion in Cadets being issued ID cards? Do any cadet forces get identification cards? What Belt Kit Do I Need? 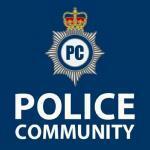 Cadets used in Advice/Patrolling in recently burgled areas?